I have seen the work of each artist over the past several months. 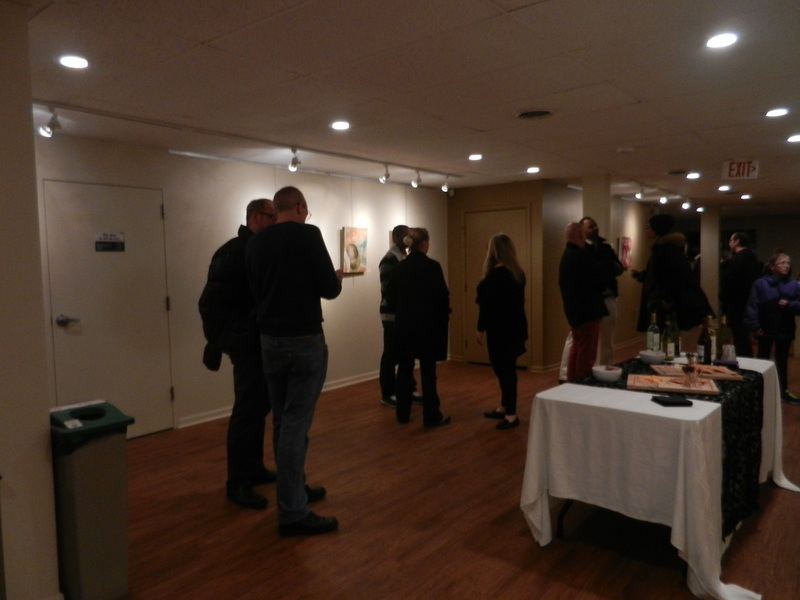 January of 2014, together, they started curating exhibits at Allentown Art Works. This time, it really highlighted each artist and what they could do as individuals. This exhibit is almost a combination of the three. With the Civic Theatre and Blink Optical a few feet apart. Artist: Ana Hamilton / Center / Female on right speaking with gentleman. You can stop by and check out the exhibit until March 11. Due to the amount of people, it was very hard to get decent video / photos.